PLANO, Texas, Sept. 11, 2017 (GLOBE NEWSWIRE) — Noel Goldthwaite, MD, senior surgeon and founding member at SpineCare Medical Group, Inc., is the first physician in northern California to implant Nuvectra’s Algovita® Spinal Cord Stimulation System, which successfully treated a local injured veteran’s chronic pain and led to his significant reduction in opioid use. 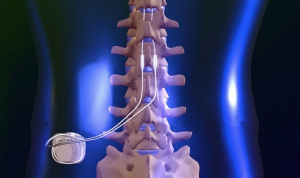 The Nuvectra Algovita SCS System is a powerful and versatile spinal cord stimulation system that includes the smallest patient controller on the market. Algovita is FDA approved as a treatment for chronic, intractable pain. Chronic pain affects over 100 million Americans according to the Institute of Medicine, more than diabetes, cancer, and heart disease combined. Chronic pain is difficult to treat, but one potential treatment option is spinal cord stimulation, or SCS. SCS works by masking or interrupting pain signals as they travel up the spinal cord to the brain. A small, rechargeable battery is implanted under the patient’s skin and connected to thin wires, called leads, which stimulate the nerves sending pain signals. The stimulation “overrides” the pain signals, and instead of feeling pain, patients may feel a tingling sensation known as paresthesia. Algovita gave near immediate pain relief to this patient, enabling him to reduce his opioid usage by over 90% in the 6 months since his surgery, which he had become dependent on to keep the pain at bay. Now, he leads what he calls a life of conscious living, being able to enjoy time with his family and help other veterans who have returned from active duty. The Algovita SCS System was designed to help physicians improve their outcomes and better manage their patients’ pain today and into the future. Algovita offers a number of unique features not available with other systems on the market. 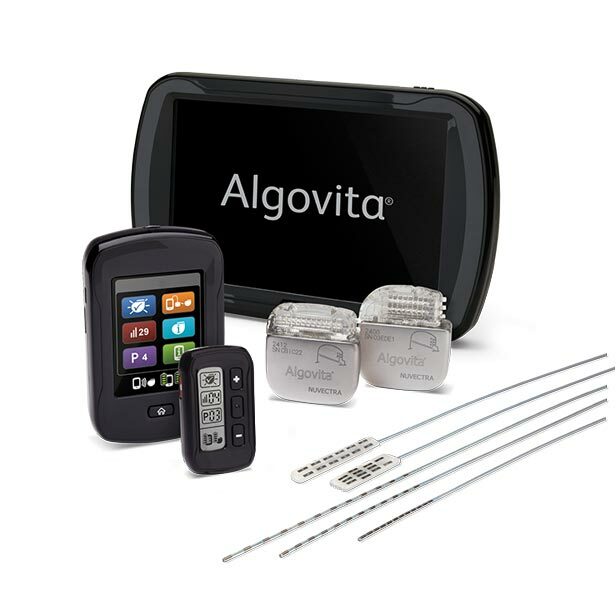 With the broadest range of capabilities and fine-tuned control, Algovita provides physicians with the tools to address the individual and changing nature of pain. In addition, Algovita’s leads cover the longest span of the spinal nerves, allowing for additional coverage options as pain moves and changes. As the only stretchable leads on the market, Algovita’s leads are designed to bend and stretch with body movement to help sustain the therapy long-term. 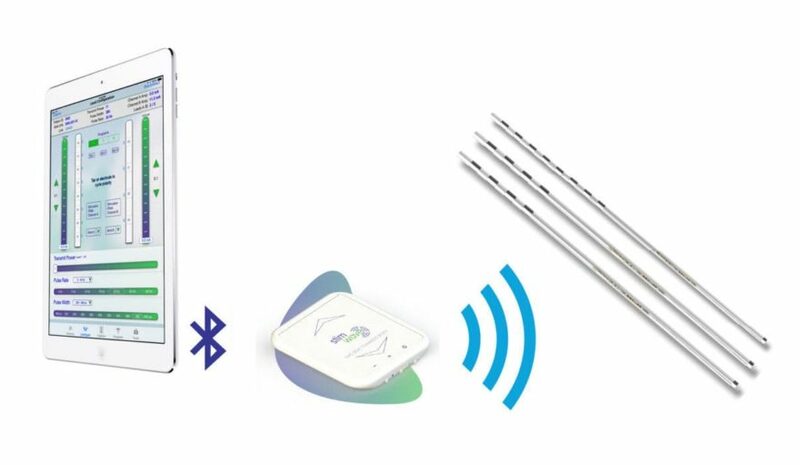 Since pain can change throughout the day and with different activities, Algovita also features a small, wireless, key-fob patient controller so stimulation can be easily and discreetly managed. For more information about Nuvectra and the Algovita Spinal Cord Stimulation system, visit www.nuvectramed.com. Dr. Noel Goldthwaite was a founding member of SpineCare Medical Group in 1988. He has performed more than 12,000 spinal operations including more than 350 spinal cord stimulator system implantations and revisions both for the lumbar spine and the cervical spine. He lectures and teaches nationally and internationally. He has a special interest in treating patients who have already had unsuccessful spine surgeries. He understands very well that inadequately treated spine problems, especially failed surgeries with chronic pain, are devastating for the patient, the patient’s family, the patient’s friends, and for society. He is prepared to address all those issues. 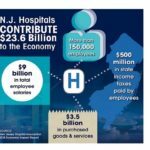 CAMBRIDGE, Mass.–(BUSINESS WIRE)–InVivo Therapeutics Holdings Corp. (NVIV) today announced the publication of an article titled “Relationship of American Spinal Injury Association Impairment Scale Grade to Post-injury Hospitalization and Costs in Thoracic Spinal Cord Injury” in the journal Neurosurgery. Neurosurgery is the official journal of the Congress of Neurological Surgeons. The article estimates the lifetime economic costs associated with hospitalizations in relation to American Spinal Injury Association Impairment Scale (AIS) grade. AIS grades are widely-used measures of spinal cord injury (SCI) severity that range from AIS A (complete) to AIS E (normal). The article concludes that patients with less severe thoracic SCI, as reflected in AIS grade, spend fewer days hospitalized over their lifetimes, leading to lower costs of inpatient care. Therefore, therapies improving AIS grade following thoracic SCI may provide cost savings in addition to addressing substantial unmet need. Specifically, the article reports a lifetime net present value cost savings of about $72,000 for patients with thoracic AIS B SCI as compared to patients with thoracic AIS A SCI, and of about $132,500 for patients with thoracic AIS C SCI as compared to patients with thoracic AIS A SCI. The publication is now available electronically through Neurosurgery prior to print publication at: https://doi.org/10.1093/neuros/nyx425. InVivo Therapeutics Holdings Corp. is a clinical-stage biomaterials and biotechnology company with a focus on treatment of spinal cord injuries. The company was founded in 2005 with proprietary technology co-invented by Robert Langer, Sc.D., Professor at Massachusetts Institute of Technology, and Joseph P. Vacanti, M.D., who then was at Boston Children’s Hospital and who now is affiliated with Massachusetts General Hospital. In 2011, the company earned the David S. Apple Award from the American Spinal Injury Association for its outstanding contribution to spinal cord injury medicine. In 2015, the company’s investigational Neuro-Spinal Scaffold™received the 2015 Becker’s Healthcare Spine Device Award. The publicly-traded company is headquartered in Cambridge, MA. For more details, visit www.invivotherapeutics.com. Any statements contained in this press release that do not describe historical facts may constitute forward-looking statements within the meaning of the federal securities laws. These statements can be identified by words such as “believe,” “anticipate,” “intend,” “estimate,” “will,” “may,” “should,” “expect,” “designed to,” “potentially,” and similar expressions, and include statements regarding the safety and effectiveness of the Neuro-Spinal Scaffold™, the status of the clinical program, and the company’s plans regarding future publications. Any forward-looking statements contained herein are based on current expectations, and are subject to a number of risks and uncertainties. Factors that could cause actual future results to differ materially from current expectations include, but are not limited to, risks and uncertainties relating to the company’s ability to successfully open additional clinical sites for enrollment and to enroll additional patients; the timing of the Institutional Review Board process; the expected benefits and efficacy of the company’s products and technology in connection with the treatment of spinal cord injuries; the availability of substantial additional funding for the company to continue its operations and to conduct research and development, clinical studies and future product commercialization; and other risks associated with the company’s business, research, product development, regulatory approval, marketing and distribution plans and strategies identified and described in more detail in the company’s Quarterly Report of the three months ended June 30, 2017, and its other filings with the SEC, including the company’s Form 10-Qs and current reports on Form 8-K. The company does not undertake to update these forward-looking statements. Dublin – Ireland, 5 September 2017 – Mainstay Medical International plc (“Mainstay” or the “Company”, Euronext Paris: MSTY.PA and ESM of the Irish Stock Exchange: MSTY.IE), a medical device company focused on bringing to market ReActiv8®, an implantable restorative neurostimulation system to treat disabling Chronic Low Back Pain (“CLBP”), announces that Mr. Jason Hannon will succeed Mr. Peter Crosby as Chief Executive Officer with effect from October 9, 2017. Mr. Hannon’s appointment results from the Company’s succession planning associated with the retirement of Mr. Crosby at the end of October, 2017. Mr. Hannon will also be appointed as a Director with effect from October 9, 2017. Mr. Hannon most recently served as President and Chief Operating Officer of NuVasive (NASDAQ:NUVA), a leading medical device company focused on transforming spine surgery with minimally disruptive, procedurally-integrated solutions. His prior roles at NuVasive, Inc. include Executive Vice President of International, Executive Vice President of Business Development and Strategy, and General Counsel. During his 12 year tenure at NuVasive, the company’s commercial presence was expanded globally to more than 40 countries and revenue grew from $61M to $962M. In the period up to his retirement date, Mr. Crosby will act as Special Adviser to the new CEO, and will continue to work with the Company as a consultant up to the end of 2020. He will also continue to act as a Director until the conclusion of the Company’s Annual General Meeting to be held on Friday, 22 September 2017, when he will retire as a Director. Mr Hannon holds no interest in ordinary shares of Mainstay, and, other than as set out below, there is no further information to be disclosed under schedule 2(g) and Rule 17 of the ESM Rules in respect of Mr Hannon’s appointment to the board of Mainstay. Mainstay is a medical device company focused on bringing to market an innovative implantable restorative neurostimulation system, ReActiv8®, for people with disabling Chronic Low Back Pain (CLBP). The Company is headquartered in Dublin, Ireland. It has subsidiaries operating in Ireland, the United States, Australia and Germany, and its ordinary shares are admitted to trading on Euronext Paris (MSTY.PA) and the ESM of the Irish Stock Exchange (MSTY.IE). One of the recognized root causes of CLBP is impaired control by the nervous system of the muscles that dynamically stabilize the spine in the low back, and an unstable spine can lead to back pain. ReActiv8 is designed to electrically stimulate the nerves responsible for contracting these muscles and thereby help to restore muscle control and improve dynamic spine stability, allowing the body to recover from CLBP. People with CLBP usually have a greatly reduced quality of life and score significantly higher on scales for pain, disability, depression, anxiety and sleep disorders. Their pain and disability can persist despite the best available medical treatments, and only a small percentage of cases result from an identified pathological condition or anatomical defect that may be correctable with spine surgery. Their ability to work or be productive is seriously affected by the condition and the resulting days lost from work, disability benefits and health resource utilization put a significant burden on individuals, families, communities, industry and governments. CAUTION – in the United States, ReActiv8 is limited by federal law to investigational use only. This announcement includes statements that are, or may be deemed to be, forward looking statements. These forward looking statements can be identified by the use of forward looking terminology, including the terms “anticipates”, “believes”, “estimates”, “expects”, “intends”, “may”, “plans”, “projects”, “should”, “will”, or “explore” or, in each case, their negative or other variations or comparable terminology, or by discussions of strategy, plans, objectives, goals, future events or intentions. These forward looking statements include all matters that are not historical facts. They appear throughout this announcement and include, but are not limited to, statements regarding the Company’s intentions, beliefs or current expectations concerning, among other things, the Company’s results of operations, financial position, prospects, financing strategies, expectations for product design and development, regulatory applications and approvals, reimbursement arrangements, costs of sales and market penetration. By their nature, forward looking statements involve risk and uncertainty because they relate to future events and circumstances. Forward looking statements are not guarantees of future performance and the actual results of the Company’s operations, and the development of its main product, the markets and the industry in which the Company operates, may differ materially from those described in, or suggested by, the forward looking statements contained in this announcement. In addition, even if the Company’s results of operations, financial position and growth, and the development of its main product and the markets and the industry in which the Company operates, are consistent with the forward looking statements contained in this announcement, those results or developments may not be indicative of results or developments in subsequent periods. A number of factors could cause results and developments of the Company to differ materially from those expressed or implied by the forward looking statements including, without limitation, the successful launch and commercialization of ReActiv8®, the progress and success of the ReActiv8-B Clinical Trial, general economic and business conditions, the global medical device market conditions, industry trends, competition, changes in law or regulation, changes in taxation regimes, the availability and cost of capital, the time required to commence and complete clinical trials, the time and process required to obtain regulatory approvals, currency fluctuations, changes in its business strategy, political and economic uncertainty. The forward-looking statements herein speak only at the date of this announcement. Dublin-listed Mainstay Medical, a company that is targeting chronic back pain with an implantable device, is expecting to seek further funding in the near future as it ramps up its commercialisation plans. The medical devices firm, which recently announced it had passed the mid-point in clinical trials in the US, made its first commercial sale earlier this year in Germany. 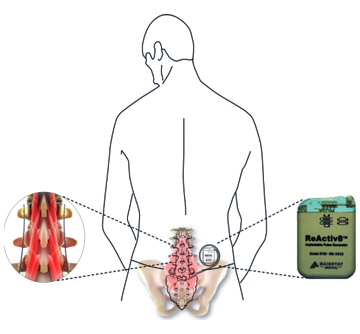 Mainstay’s ReActiv8 product is implanted in a surgical procedure and works by using electrical stimulus of nerves in muscles supporting the lower spine. The product won European approval last year after which it raised €30 million in funding to commercialise ReActiv8. Speaking to The Irish Times, chief executive Peter Crosby said it was looking at various options in terms of additional fundraising. “We know we will need more capital to complete the US trial and to get pre-market approval. We’ll also need more to drive commercialisation, but we haven’t given any indication yet on how much we’ll be looking for or when,” said Mr. Crosby. Mainstay Medical International plc (“Mainstay” or the “Company”, Euronext Paris: MSTY.PA and ESM of the Irish Stock Exchange: MSTY.IE), a medical device company focused on bringing to market ReActiv8®, an implantable restorative neurostimulation system to treat disabling Chronic Low Back Pain (“CLBP”), announces that over half the required number of implants in the ReActiv8-B Clinical Trial have been performed. The trial is intended to gather data in support of an application for pre-market approval (PMA) from the US Food and Drug Administration (FDA), a key step towards commercialization of ReActiv8 in the US. Information about the trial can be found at https://clinicaltrials.gov/show/NCT02577354. 69 subjects have been implanted with ReActiv8 in the trial. The trial design requires 128 subjects in the pivotal cohort to reach the 120-day endpoint before data are made available. An “interim look” for sample size re-estimation is planned when half the implanted subjects have data from the 120-day visit. The enrolment rate has been accelerating as the number of active sites has increased during 2017. ReActiv8 is designed to electrically stimulate the nerves responsible for contracting muscles which stabilize the lumbar spine. Activation of these muscles to restore functional stability has been shown to facilitate recovery from CLBP. Mainstay received CE Marking for ReActiv8 in May 2016 based on positive results from the ReActiv8-A clinical trial which demonstrated a clinically important, statistically significant and lasting improvement in pain, disability and quality of life in people with disabling CLBP and few other treatment options.Mainstay has begun commercialization in Europe, focusing initially on Germany, where the Company aims to drive adoption of ReActiv8 in a select number of high volume multi-disciplinary spine care centers. More recently, commercialization has begun in Ireland, Mainstay’s home market. Peter Crosby, CEO of Mainstay, commented: “The ReActiv8-B Clinical Trial is advancing well, and, based on our experience to date, we anticipate completing enrolment around the end of this year, with results available in 2018. The ReActiv8-B trial is a key step towards commercialization in the US, our most significant target market, and we are pleased with the progress. The ReActiv8-B Clinical Trial is an international, multi-center, prospective randomized sham controlled triple blinded trial with one-way crossover, conducted under an Investigational Device Exemption (IDE). The statistical design of the Clinical Trial requires data from the pivotal cohort of 128 randomized subjects at the 120-day primary outcome assessment visit. Total number of subjects implanted will also include some enrolled and implanted as part of the surgical roll-in phase, in addition to subjects in the pivotal cohort. The Trial is designed with an “interim look” for sample size re-estimation when primary outcome data are available from half the subjects in the pivotal cohort, and if necessary the number of subjects in the pivotal cohort may be increased to achieve the targeted statistical significance. The interim analysis will be performed by a third-party independent statistician under the direction of the Data Monitoring Committee (DMC), and the interim results, other than a DMC recommendation regarding the findings, will remain blinded to the Company, study subjects, investigators and Clinical Trial sites. The primary efficacy endpoint of the ReActiv8-B Clinical Trial is a comparison of responder rates between the treatment and control arms. The Clinical Trial will be considered a success if there is a statistically significant difference in responder rates between the treatment and control arms. The Clinical Trial, if successful, will provide what is referred to as Level 1A Evidence of efficacy of ReActiv8, which may be used to support applications for favorable reimbursement in the USA. Evidence from the ReActiv8-B Trial will also be used to support market development activities worldwide. One of the recognized root causes of CLBP is impaired control by the nervous system of the muscles that dynamically stabilise the spine in the low back, and an unstable spine can lead to back pain. ReActiv8 is designed to electrically stimulate the nerves responsible for contracting these muscles and thereby help to restore muscle control and improve dynamic spine stability, allowing the body to recover from CLBP. By their nature, forward looking statements involve risk and uncertainty because they relate to future events and circumstances. Forward looking statements are not guarantees of future performance and the actual results of the Company’s operations, and the development of its main product, the markets and the industry in which the Company operates, may differ materially from those described in, or suggested by, the forward looking statements contained in this announcement. In addition, even if the Company’s results of operations, financial position and growth, and the development of its main product and the markets and the industry in which the Company operates, are consistent with the forward looking statements contained in this announcement, those results or developments may not be indicative of results or developments in subsequent periods. A number of factors could cause results and developments of the Company to differ materially from those expressed or implied by the forward looking statements including, without limitation, the successful launch and commercialisation of ReActiv8®, the progress and success of the ReActiv8-B Clinical Trial, general economic and business conditions, the global medical device market conditions, industry trends, competition, changes in law or regulation, changes in taxation regimes, the availability and cost of capital, the time required to commence and complete clinical trials, the time and process required to obtain regulatory approvals, currency fluctuations, changes in its business strategy, political and economic uncertainty. The forward-looking statements herein speak only at the date of this announcement. Introduction of affordable devices would pave huge opportunities for the global spinal cord stimulators market across developing economies. 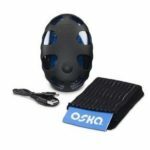 Customized spinal cord stimulators as per the requirements of an individual is expected to offer higher growth potential for leading market players. Specialists in healthcare settings are more likely to prescribe devices that are smaller in size, owing to their easy implantation and less painful surgical procedure. In terms of value, an impressive 6.4% CAGR is estimated for the global spinal cord stimulators market by a report of Future Market Insights (FMI). In 2017, the market will account for nearly US$ 2,000 Mn in revenues; by 2027 this number is estimated to reach US$ 3,568.2 Mn. 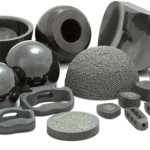 Growth of the market is primarily attributed to under penetration of potential market. Majority of patients with chronic pain are increasingly depending upon opioid analgesics; however spinal cord stimulators is capable of reducing this addiction to a great extent. Entry of additional competitors in the market is expected to increase awareness about effectiveness of spinal cord stimulators. Spinal cord stimulators are comparatively more cost-effective than conventional medical management (CMM). Leading companies in the market are taking initiatives in improving technology for spinal cord stimulators. The aforementioned factors are estimated to drive growth of the global spinal cord stimulators market. However, spinal cord stimulators have little access to evidence-based data in order to confirm effectiveness of these devices for management of chronic pain. Clinical validation of spinal cord stimulation is based on observational data, instead of verified data. This had led several private insurance companies to refuse reimbursement of costs, which in turn is impeding the market growth. 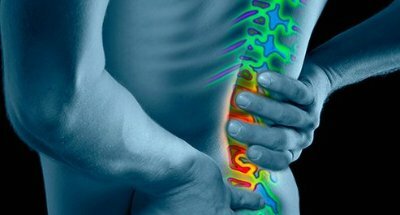 In addition, complications associated with spinal cord stimulators, such as paresthesia- characterised by burning sensation, is further expected to restrain growth of the global spinal cord stimulators market. In terms of value, rechargeable spinal cord stimulators are expected to remain sought-after product in the market. Revenues amassed from sales of rechargeable spinal cord stimulators are expected to reach US$ 2,530.4 Mn by 2027-end. In addition, sales of non-rechargeable spinal cord stimulators are anticipated to expand at 4.6% CAGR through 2027. Factors such as low battery life, and requirement of surgery for replacement of battery are restricting adoption of non-rechargeable spinal cord stimulators across the globe. Application of spinal cord stimulators will remain highest in failed back surgery syndrome (FBSS), with sales estimated to surpass US$ 1,000 Mn in 2017. In addition, complex regional pain syndrome (CRPS) is projected to be the second-fastest growing application of spinal cord stimulators in the market. In terms of value, sales of spinal cord stimulators in CRPS are estimated to register 5.8% CAGR through 2027. Although hospitals will continue to be largest end-users of spinal cord stimulators, adoption will witness fastest growth in ambulatory surgical centres. Sales of spinal cord stimulators in hospitals are estimated to account for revenues worth US$ 627.9 Mn in 2017. Demand for spinal cord stimulators in ambulatory surgical centres is projected to exhibit 6.8% CAGR through 2027. In contrast, demand for spinal cord stimulators in clinics will remain sluggish in the market. North America will continue to remain dominant in the global spinal cord stimulators market, with sales estimated to reach nearly US$ 3,000 Mn in revenues by 2027-end. Western Europe will remain the second-largest market for spinal cord stimulators, expanding at 6.1% CAGR through 2027. In addition, markets in Eastern Europe and Japan are estimated to exhibit parallel expansion at 6% CAGR through 2027. Key market players identified in FMI’s report include Boston Scientific Corp., Medtronic Private Limited Company, St Jude Medical LLC, Nevro Corp, Nuvectra Corporation, Stimwave, Saluda Medical PTY Limited. 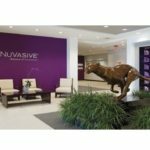 CAMBRIDGE, Mass.–(BUSINESS WIRE)–InVivo Therapeutics Holdings Corp. (NVIV) today announced the appointment of Richard Toselli, M.D., as Chief Medical Officer, effective July 5, 2017. Dr. Toselli, a fellowship-trained spinal neurosurgeon, will assume all responsibilities related to the company’s clinical and regulatory strategy. Prior to joining InVivo, Dr. Toselli served as Chief Medical Officer for Cochlear Limited. In that role, he was responsible for global clinical, regulatory, and medical affairs teams reporting to the CEO. 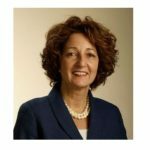 Prior to that, Dr. Toselli served five years at Sanofi in various levels of increasing responsibility, including Vice President of Global Medical Affairs – Immunology and Inflammation, Biologics Division; Vice President of Global Medical Affairs and Head of the Biosurgery Discovery Performance Unit; and Vice President of Global Medical Affairs, Biosurgery. Before his time at Sanofi, he served as Chief Medical/Technology Officer for Covidien Surgical, and earlier held various roles at DePuy Spine including Director of Medical Affairs, Worldwide Vice President of Research and Development, and Worldwide Vice President of Clinical Evidence and External Relations. He subsequently held the position of Vice President of Evidence-Based Medicine at Johnson & Johnson for the device sector. Dr. Toselli’s previous academic positions include Assistant Professor at Brown University, Associate Professor, Director of Spine Center, and Associate Chief of Staff at the University of North Carolina (UNC), and Associate Professor at the University of Vermont. He holds a bachelor of arts from Providence College, his medical degree from Brown University, and a masters of business administration from the UNC’s Kenan-Flagler Business School. Dr. Toselli is a board-certified neurological surgeon. InVivo Therapeutics Holdings Corp. is a research and clinical-stage biomaterials and biotechnology company with a focus on treatment of spinal cord injuries. The company was founded in 2005 with proprietary technology co-invented by Robert Langer, Sc.D., Professor at Massachusetts Institute of Technology, and Joseph P. Vacanti, M.D., who then was at Boston Children’s Hospital and who now is affiliated with Massachusetts General Hospital. In 2011, the company earned the David S. Apple Award from the American Spinal Injury Association for its outstanding contribution to spinal cord injury medicine. In 2015, the company’s investigational Neuro-Spinal Scaffold received the 2015 Becker’s Healthcare Spine Device Award. The publicly-traded company is headquartered in Cambridge, MA. For more details, visit www.invivotherapeutics.com. Any statements contained in this press release that do not describe historical facts may constitute forward-looking statements within the meaning of the federal securities laws. These statements can be identified by words such as “believe,” “anticipate,” “intend,” “estimate,” “will,” “may,” “should,” “expect,” “designed to,” “potentially,” and similar expressions, and include statements regarding the safety and effectiveness of the Neuro-Spinal Scaffold, the progress of the clinical program and the timing of the completion of enrollment in the INSPIRE Study and of the filing of an application for marketing approval. Any forward-looking statements contained herein are based on current expectations, and are subject to a number of risks and uncertainties. Factors that could cause actual future results to differ materially from current expectations include, but are not limited to, risks and uncertainties relating to the company’s ability to successfully open additional clinical sites for enrollment and to enroll additional patients; the timing of the Institutional Review Board process; the company’s ability to commercialize its products; the company’s ability to develop, market and sell products based on its technology; the expected benefits and efficacy of the company’s products and technology in connection with the treatment of spinal cord injuries; the availability of substantial additional funding for the company to continue its operations and to conduct research and development, clinical studies and future product commercialization; and other risks associated with the company’s business, research, product development, regulatory approval, marketing and distribution plans and strategies identified and described in more detail in the company’s Quarterly Report of the three months ended March 31, 2017, and its other filings with the SEC, including the company’s Form 10-Qs and current reports on Form 8-K. The company does not undertake to update these forward-looking statements. FORT LAUDERDALE, Fla.–(BUSINESS WIRE)–Stimwave LLC, a medical device manufacturer and independent research institute headquartered in South Florida in the United States, today announced the first patients in Brazil will receive a Stimwave Wireless Pain Relief® device for the treatment of chronic pain. The minimally-invasive procedures will be completed prior to and during the 4th Conference of the Brazilian Society of Interventional Pain Physicians (BSIPP) when the leading authorities in the field of pain management gather in Campinas, São Paolo, Brazil from July 6-9, 2017. Charles Amaral de Oliveira, MD of Singular Centro de Controle da Dor in Campinas, Sao Paolo will perform the procedures as part of the conference’s focus on new trends in neuromodulation. The patients will receive Stimwave’s Wireless Pain Relief® technology as a non-opioid alternative to treating chronic pain. Singular is the first Brazilian pain treatment center to earn the International Excellence in Pain Practice Award from the World Institute of Pain (WIP), as well Singular’s medical staff being the first Brazilian doctors to earn Fellow in Interventional Pain Practice (FIPP) accreditations. The leading authorities in the field of pain management will convene in Campinas, São Paulo from July 6-9 for the 4th Conference of the Brazilian Society of Interventional Pain Physicians. The scientific program includes over 50 activities, including educational lectures by 13 international guest speakers and nine live surgical demonstration procedures to be held July 6. The event’s multidisciplinary focus and comprehensive program features talks on craniofacial pain, neuropathic pain, cancer pain, neck and back pain, the role of ultrasound as an important tool in diagnosing the causes of pain, and on new trends in neuromodulation, as well as the social impact of pain and the standardization of pain professional-health insurance provider relations. Stimwave has pioneered the Stimwave Freedom Spinal Cord Stimulation (SCS) System and the StimQ Peripheral Nerve Stimulator (PNS) System. Stimwave’s devices are 95 percent smaller than any other neuromodulation device on the market and are the only system to have full body 3T MRI Conditionality. Representing a life-changing technological breakthrough for the more than 400 million people who endure daily chronic pain worldwide, the Stimwave Freedom Spinal Cord Stimulation (SCS) System is the most versatile system available in the industry. The Freedom-8A SCS System can provide patients with up to 64 electrode contacts and offer traditional programming options, as well as other programming options, including frequencies up to 10,000 Hz or waveform customization. The Freedom-8A SCS System with eight electrodes continues to utilize the Apple iPad programmer, leveraging Bluetooth protocols for ease of use in programming the variety of options. The devices deliver small pulses of energy to specific nerves, triggering a reaction that enables the brain to remap pain pathways, thus providing pain relief. For more information, visit www.stimwave.com. Statements made in this press release that look forward in time or that express beliefs, expectations or hopes regarding future occurrences or anticipated outcomes are forward-looking statements. A number of risks and uncertainties such as risks associated with product development and commercialization efforts, expected timing or results of any clinical trials, ultimate clinical outcome and perceived or actual advantages of the company’s products, market and physician acceptance of the products, intellectual property protection, and competitive offerings could cause actual events to adversely differ from the expectations indicated in these forward looking statements. Medtronic has joined in a $40 million round of equity financing for Saluda Medical, a med-tech company with operations in the Twin Cities. Saluda is developing an implantable medical device to treat chronic back pain and other conditions using electrical pulses. The Australia-based company expanded into the United States two years ago, starting a seven-employee clinical research team in Bloomington, Minn.
Action Potential Venture Capital, a venture arm of GlaxoSmithKline, led the round of funding. Medtronic was a return investor.